How can you clean up at home in the smallest possible amount of time? How can you make sure you won’t encounter any dirt for a long time, using the most simple household things? 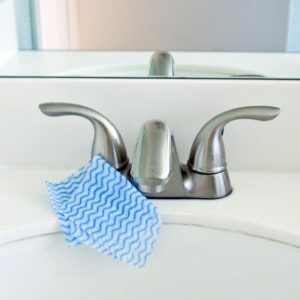 To make your life easier, we put together a list of some of the best methods to make cleaning simple and quick. You can thank us later! Take a large container and cover it with tin foil. Fill it with hot water and add half a cup of salt and half a cup of baking soda. 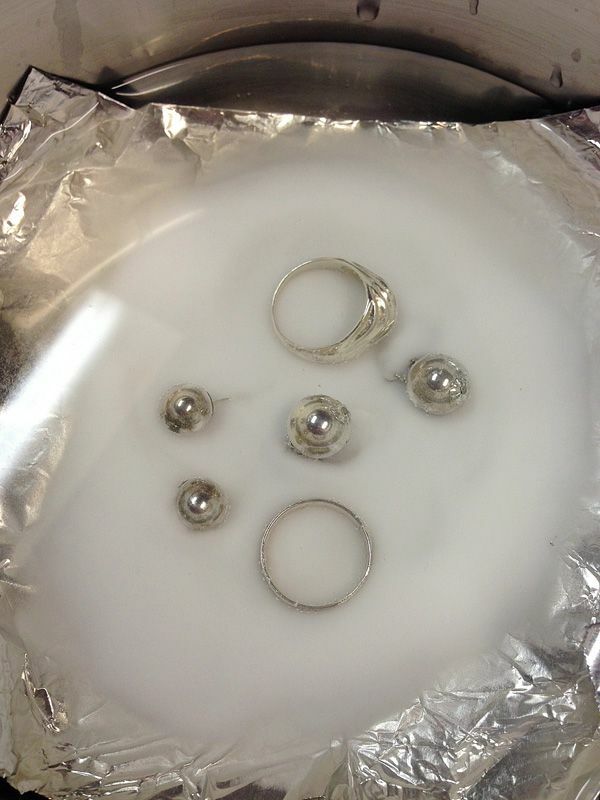 Leave silver items to soak in this mixture for 30 minutes, then rinse them and wipe dry with a soft cloth. All the dark stains will disappear. Mix vodka and water together to a ratio of 1:3 and spray the mixture on a mattress. The spirit will disinfect and destroy most of the bacteria. Cut a couple of lemons in half and place them in a glass container with water. Put it in the microwave, heat it until the water boils, and leave it like that for a minute. The dirt on the inside should then be very easy to wipe off. Run a piece of white chalk over grease stains, leave it for a few minutes and then wipe with a damp cloth. 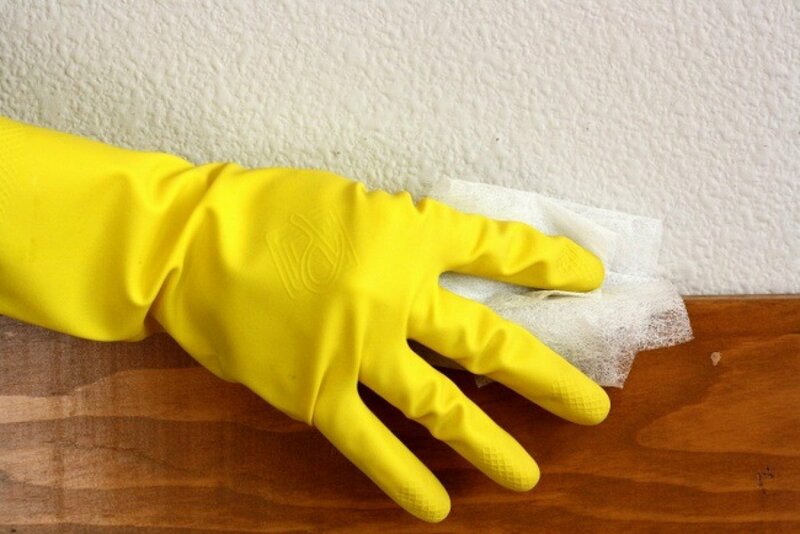 This works just as well with stains on clothes as it does with those which have ended up on the walls. With clothes, leave for an hour and then simply blow the chalk away. 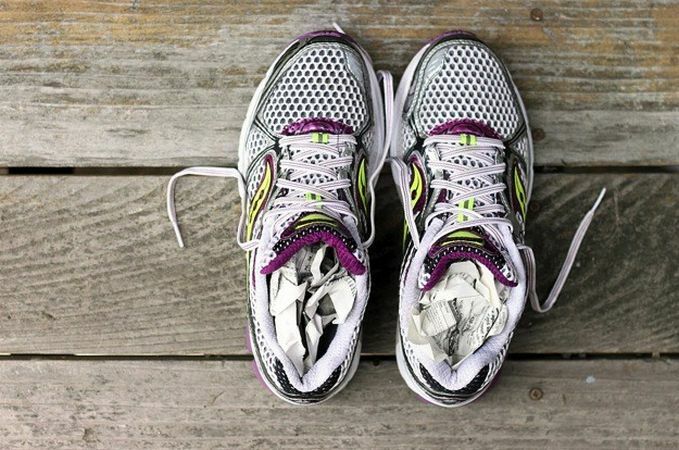 If your shoes are soaked through, fill them with pages of crumpled up newspaper, and they’ll dry much quicker. 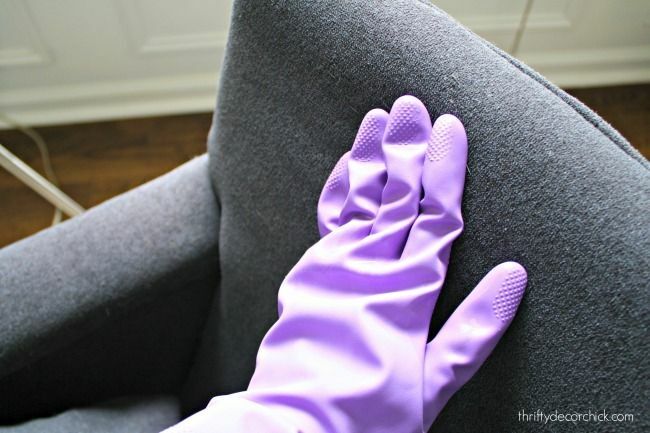 Put on a pair of ordinary rubber gloves normally used for washing up, douse them in water and then run your hands along the surface of the furniture covered in animal hair/fur. Everything will stick to the gloves. 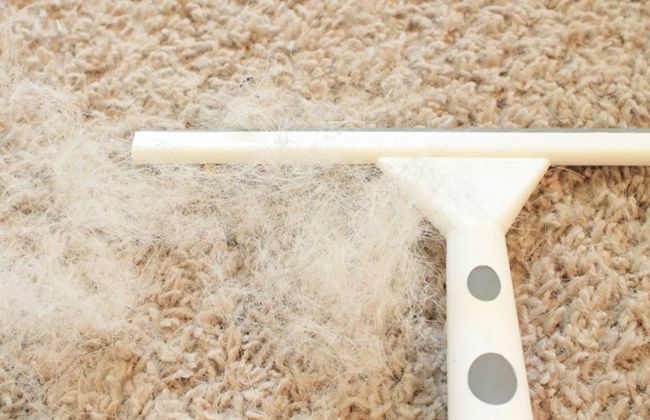 To get rid of hair or fur on a rug, you can also try using a on ordinary scraper you would normally use for wiping windows clean. You’ll be amazed by the results! Fill the frying pan with a little water — only enough to cover the surface area. Then pour in a glass of vinegar. 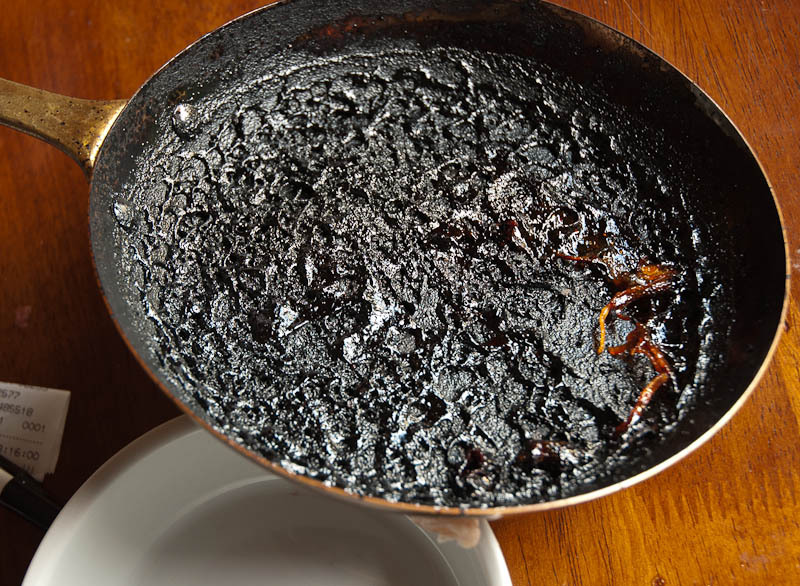 Boil thoroughly on a medium heat, then remove from the stove and add two tablespoons of baking soda. The burnt bits of food will come off with no trouble at all. This is the easiest one of all. Pour in a spoonful of lemon juice mixed with water and boil it for five minutes. Then pour out the water, and the kettle will be as new! 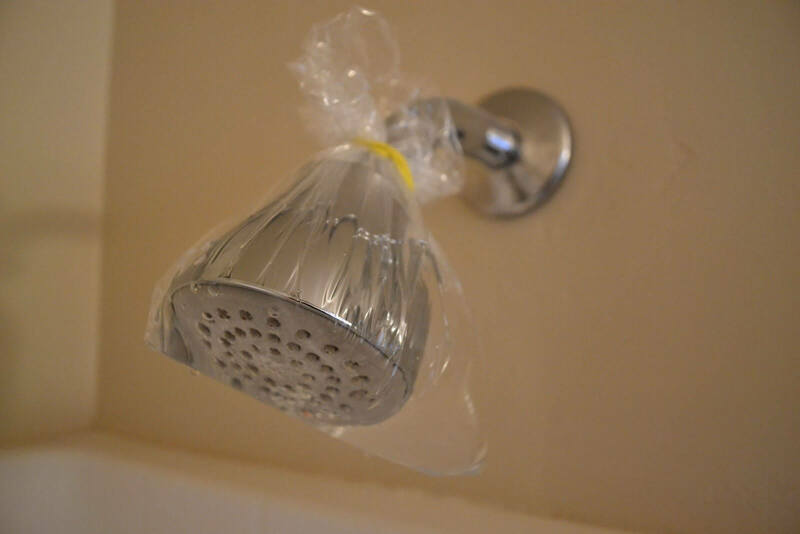 Pour some vinegar into a polythene bag and then attach it to the shower head using rubber bands. Leave for an hour or overnight. The dirt will be cleaned from both inside and on the outside of the shower head. 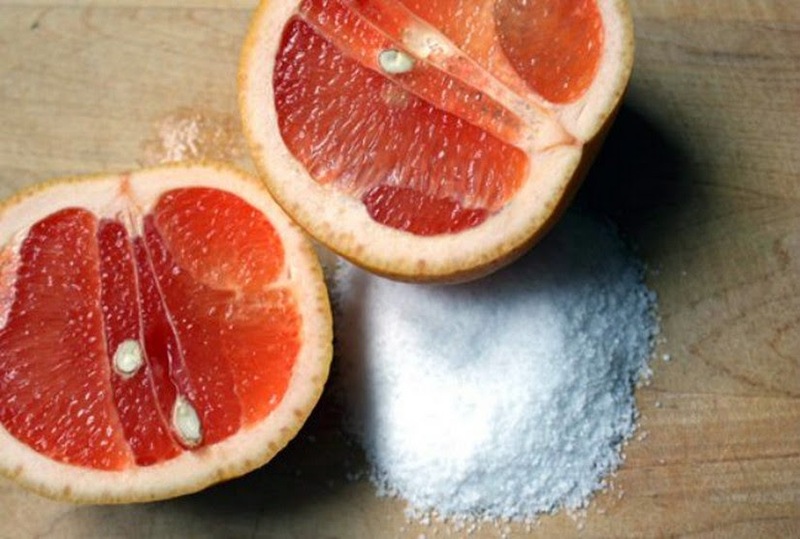 Grapefruit and lemons can help clean surfaces wonderfully. Sprinkle some salt on either one of them, then use them to wipe down the sink. It’ll be as clean as crystal! 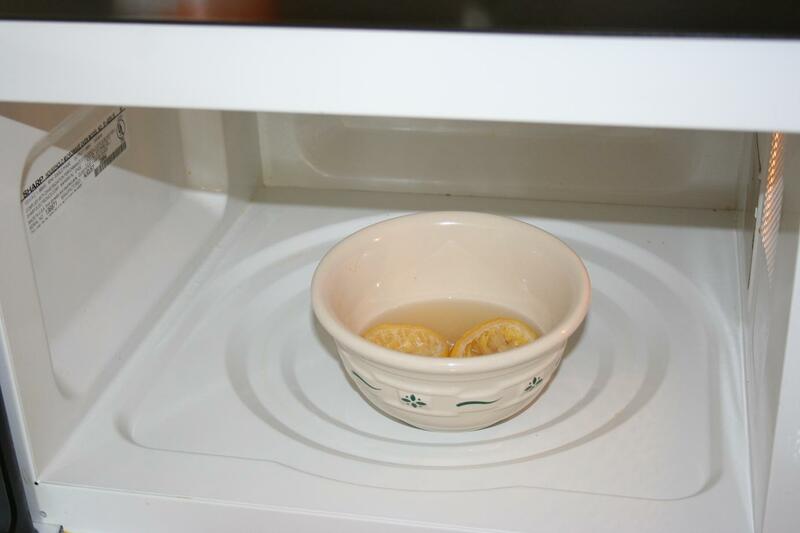 Pour two glasses of warm vinegar into a tub (you can heat it up in the microwave for about two minutes to get it warm). Submerge the dishes in the vinegar so that they’re completely covered. After a few minutes, rinse them and wipe dry. Fill the bottle with hot water and add a little washing up liquid. Then add half a cup of white rice. Shake well. The rice will rub against the sides of the bottle and clean all of the dirt. Wait for the deposits to break up, then shake again. Wash with warm water. You can use an anti-static cloth to wipe down any surface: base boards, the TV screen or the screen of a computer, book shelves — anything. The cloth will remove any dust with ease. Put a clean sock on your hand. 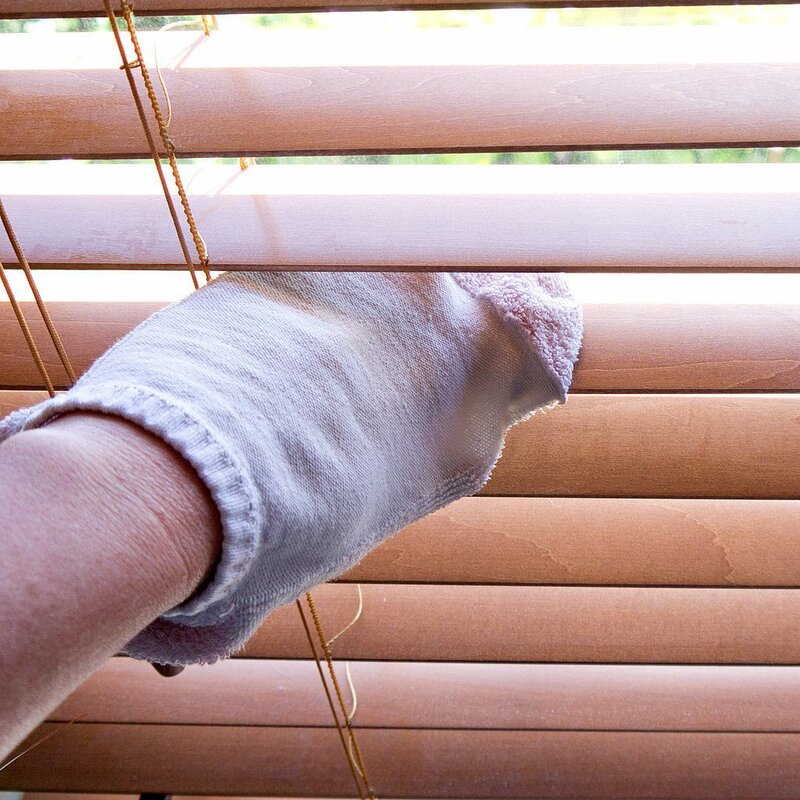 Soak it in a mixture of one part water and one part vinegar, then wipe down the blinds with your hand. 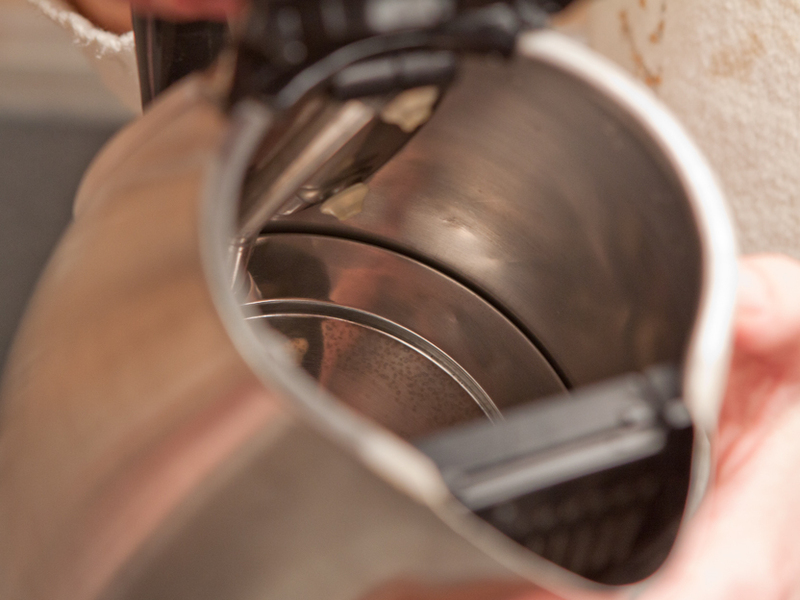 Pour half a cup of soda and half a cup of vinegar down the plug hole, one at a time. Cover it and leave for 15 minutes. Wash down some warm water. Wipe the stain with a mixture consisting of one part vinegar and two parts water. Cover it with a wet cloth, and then run a hot iron over it for 30 seconds. Repeat the process if the stain doesn’t disappear the first time round. To get rid of limescale covering the surface of taps, wipe them with a piece of lemon and after five minutes rinse with water. 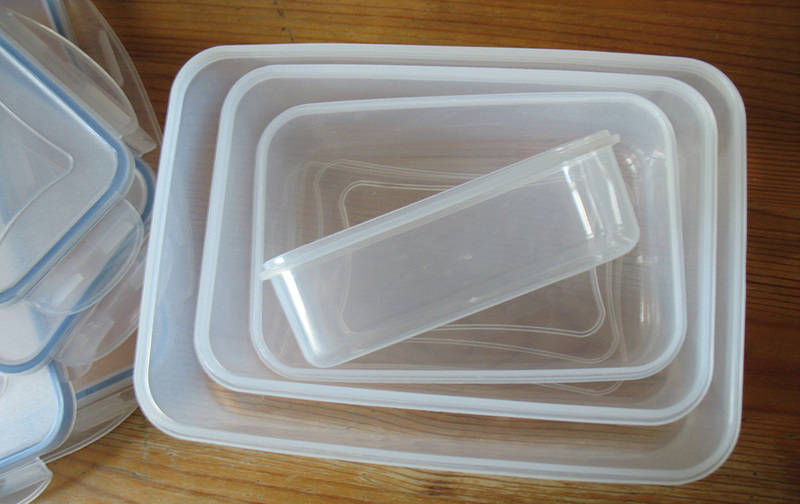 To clean these as well as get rid of the smell, just grind some rice in them and add one tablespoon of baking soda. Wipe the dirty part with lemon juice, allow to dry and then rinse. This will get rid of both stains and smells. Mix soda and hydrogen peroxide in equal parts in a bowl. Use a sponge to wipe the affected area, and the odour will disappear straight away. Pour a small amount of spirit of hartshorn (an aqueous solution of ammonia) into a container and leave it overnight in the switched-off oven. 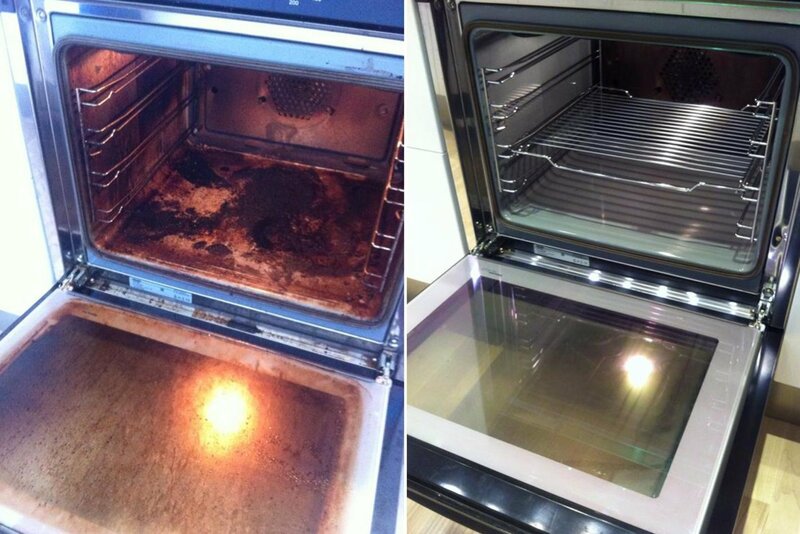 Air the room in the morning, and then wash the oven. The dirt will come off easily. The smell will disappear shortly. Just make sure you have the windows open while you’re doing it, and wear rubber gloves the whole time. You must have noticed that with time, your cars headlight glass becomes duller and a bit yellower. To get rid of this effect, use ordinary toothpaste. Just rub an ample amount of it with a toothbrush into the headlights, then sprinkle them with water, and wipe it off with a paper towel or tissue. Now your headlights will become shiny again!